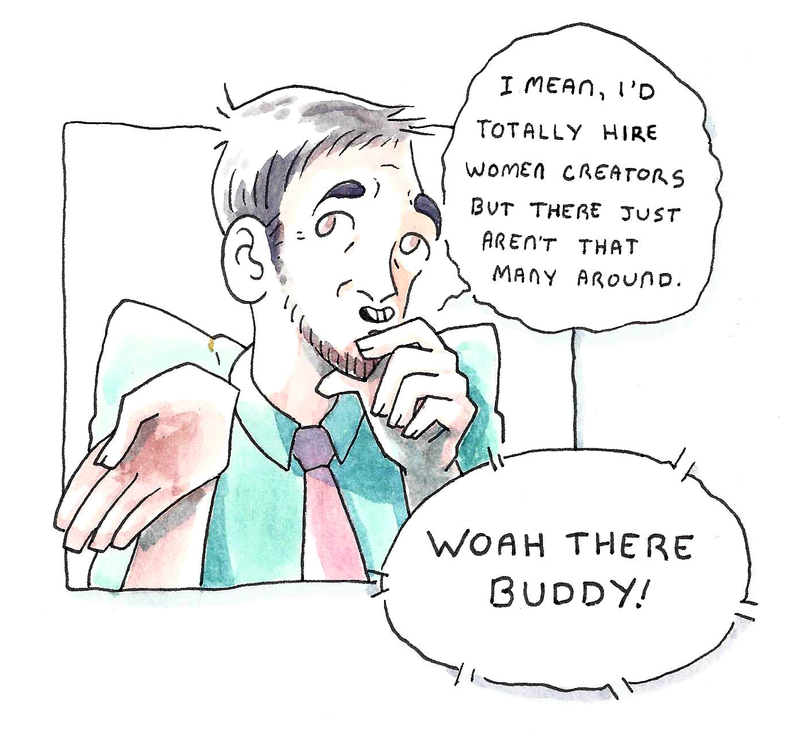 Women comic book artists and cartoonists the world over are often overlooked by their industry, as demonstrated by last winter’s Angouleme gaffe. 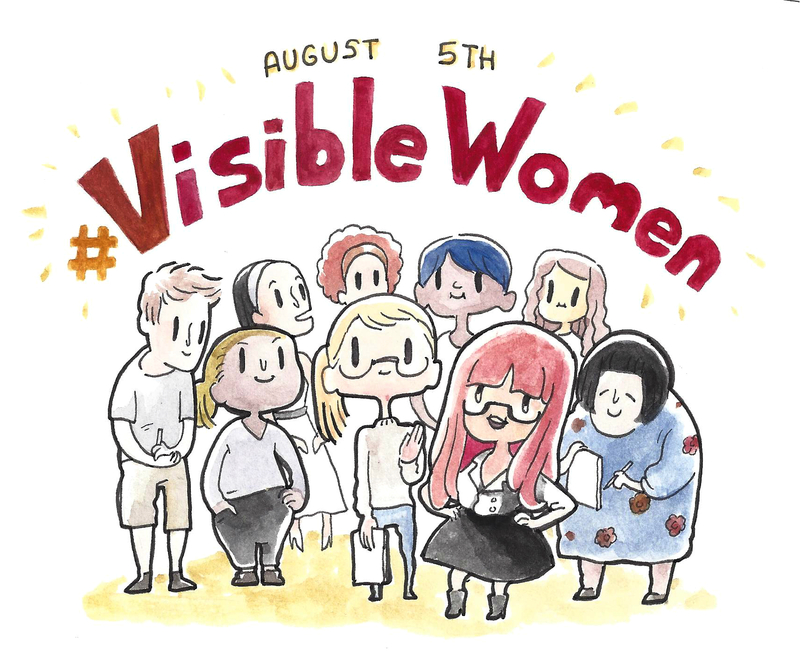 So to highlight the volume of women artists available for hire, all day August 5th we will be reviving March’s #VisibleWomen Twitter event. The goal of #VisibleWomen is to disabuse hiring professionals of the notion that women comic artists are rare and to raise awareness of said women with readers. 1) the name you use or intend to use professionally and 2) links to your portfolio and/or webcomics. A great format for your submission is [name], I draw [a few words about style or titles of works you’ve done] & my portfolio is at [link/links]. This round you don’t need to “@” Kelly Sue, just posting to the hashtag is enough! Keep in mind that we’re only doing self-submissions. While it’s great to support your friends, we don’t want to risk spotlighting someone who doesn’t feel ready. We’d love to see people get work out of this, so have your portfolios updated and ready before the event. Make sure to include your sequentials work – while pin-ups and covers are fun, they don’t demonstrate your storytelling ability. It’s also great to see folks looking at each other’s portfolios and getting acquainted with their contemporaries. In the end, we will compile everyone into a master list available to any hiring professionals.